From paper, to brains through hardware or software – what are the differences? What are the potential uses for such applications in businesses and finance? Mark Smalley is Founder & CEO of R1 DOT MY, a technology solutions provider incorporated in Malaysia in 2012, from where it has been consulting with several organizations and startups to help implement and adopt new technologies such as NoSQL storage and distributed ledgers. Neuroware is the brand name for R1 DOT MY’s Blockchain and distributed ledger technology solutions. It was first established when the company was selected to join Batch 9 of the illustrious 500 Startups accelerator program in Silicon Valley at the beginning of 2014. It was during time there in the USA that Venturebeat declared Neuroware as one of the 5 most promising startups to watch from the Batch 9 demo day pitches that took place at Microsoft. Since 2015, R1 DOT MY have been dealing with a broad spectrum of both regional and central banks, national regulators, telecommunication providers and licensed equity crowdfunding institutions from within both Malaysia and Singapore. 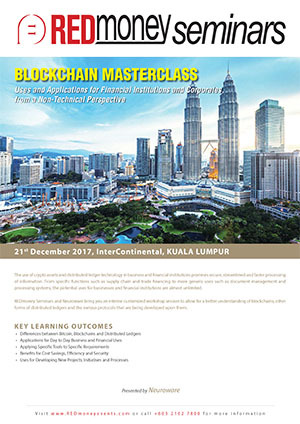 R1 DOT MY have consulted Maybank and DBS bank and have helped to organize the only bank-backed Blockchain hackathons to have taken place in Asia. They help organizations such as this to not only understand, but also begin to implement Blockchain technology and the various distributed protocols developed upon them. 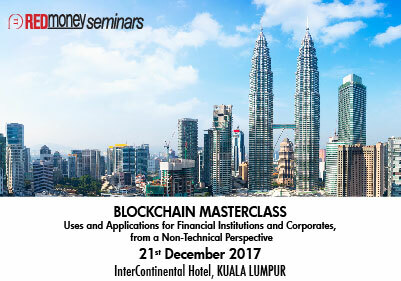 Recently featured as one of Malaysia’s top-ten FinTech companies, R1 DOT MY spent the past year developing Cortex which acts as a single unified platform for managing distributed ledgers and the various nonfinancial distributed protocols they have been building.